If you run a brick-and-mortar business, you understand the importance of workplace safety compliance. Signs for compliance and other workplace safety concerns keep your business legal and your employees and customers safe from accidents. However, signage can cost hundreds of dollars, even for a small business with few hazards. Business owners can keep compliance costs down by using workplace signs printed on paper and displayed in inexpensive, transparent tabletop sign displays and sign holder wall mounts from Hutchco. They reduce your initial workplace safety compliance investment and even save you money over time. Requirements for workplace signs change from time to time, and using inexpensive Hutchco tabletop sign displays and sign holder wall mounts allows you to print and update standards without purchasing expensive new replacement signs. It’s also easy to move plastic tabletop sign displays when you reorganize or remodel a section of your business. Danger. Danger tags shall be used in situations where an immediate major hazard presents a threat of death or serious injury to employees. Danger tags shall be used only in these situations. Caution. Caution tags shall be used in minor hazard situations where a non-immediate or potential hazard or unsafe practice presents a lesser threat of employee injury. OSHA also has specific signage requirements for biological hazards, notices, general safety signs, admittance, fire safety, non-hazards, and other situations. You can read more about these requirements on its safety training site. ANSI (ANSI Z535.2-2011, Sections 11 and 12) and OSHA (29 CFR 1910.145(f)(4)) require businesses to place hazard alert signs so that they inform viewers from a safe viewing distance, without creating a distraction or hazard themselves. They warn against placing them on or next to doors, windows that open and close, or other moveable objects. OSHA provides clear and detailed guidance for safety sign placement on its website. By using different types of plastic tabletop sign displays and sign holder wall mounts, you can adapt your signs to any part of your workplace. Hutchco offers different styles and sizes of sign holders to help you place signs where you most need them. When placing signs for safety and fire equipment, business owners should keep them clearly visible and close to the equipment. Proper illumination can improve sign visibility during normal operating conditions, and photoluminescent or retro-reflective materials can help keep signage visible during power outages. Workplace safety signs should have concise, easy-to-read wording, according to ANSI Z535.2-2011, Section 8. The lettering should allow a person with normal vision to read the safety sign message panel text from a distance that allows safe viewing. OSHA specifies that signal words, such as “Warning” should be at least 50 percent taller than the height of a capital H in the message panel wording. Most sign materials fade with time, and by using clear plastic Hutchco sign holder wall mounts and tabletop sign displays, you avoid expensive sign replacement by simply printing up a new batch of signs and replacing those that have faded. 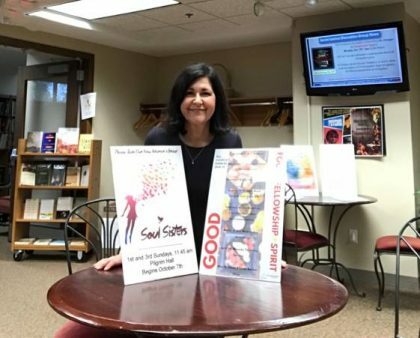 Plastic sign holders with printed paper content cost much less than expensive acrylic frames or printed signs made of other materials. Choosing the right workplace safety sign holders and wall mounts can help your business stay compliant without costing you hundreds of dollars. Economical, environmentally friendly Hutchco sign holders allow you to replace faded signs and update obsolete signage without having to pay for new signs. Their transparent, vinyl plastic allows crystal clear display of all of your print materials, ensuring that colors remain compliant, true to your original print. 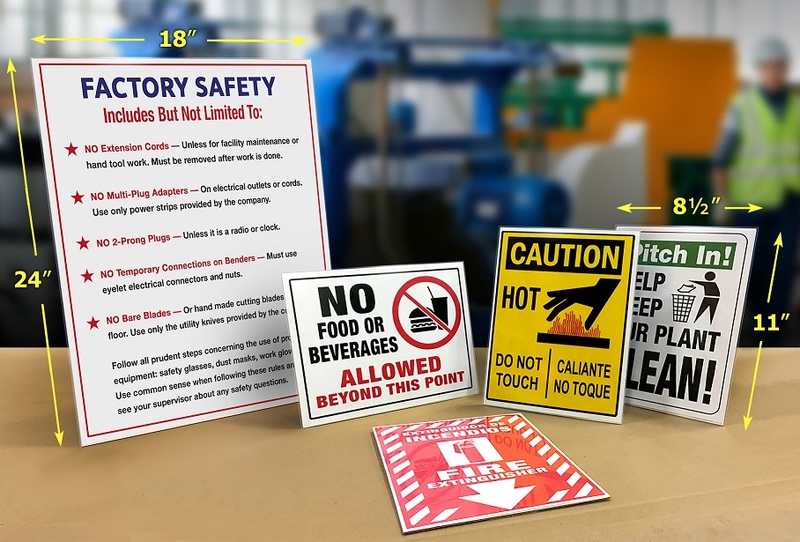 You’ll find a variety of plastic tabletop sign displays and wall mount sign holders for the diverse workplace safety signs that you need to place throughout your business or industrial facility. Hutchco plastic frames vary from small, business card displays, all the way up to 18 x 24 inches, which would include a poster-size wall sign. These sizes should cover the needs of most businesses. If you’re not sure what kinds of signs your business needs, you can consult OSHA’s page, “Specifications for accident prevention signs and tags.” You’ll find specific details about each of the different types of compliance signs and their placement and use. Don’t let a $600 price tag for a set of pre-printed signs keep you from protecting your employees and customers and keep your business compliant to OSHA, NFPA, and ANSI standards. Hutchco’s sign holders are more cost-efficient than acrylic displays or vinyl, cardstock, or aluminum signs. 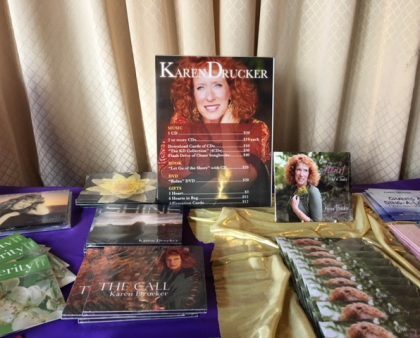 Unlike acrylic sign holders, they even fold flat for more compact, low-cost shipping. When it comes time to update signs, you’ll also save because you can reuse Hutchco’s environmentally friendly, American-made plastic tabletop sign displays and sign holder wall mounts. They come in different sizes for all of your workplace safety compliance sign needs.